Enjoy fabulous ocean views by day and spectacular views of the city lights by night, the beach is uncrowded and unspoilt. 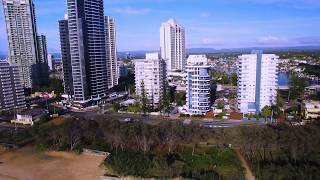 The apartments are family run and they want your whole family to enjoy a great Gold Coast experience. 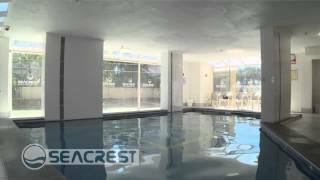 Enjoy their heated outdoor and heated indoor pools, sauna, tennis court and games room. 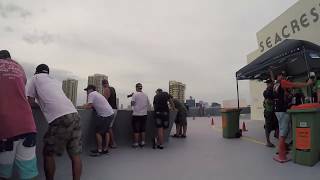 Some say their position is the best in Surfers Paradise. It's quiet and out of the hustle and bustle. All of their apartments are air-conditioned for your comfort with spacious lounge rooms. They have two bedrooms and two bathrooms. All Seacrest Apartments are air-conditioned and have a view. Each has a Balcony which most offer ocean views by day and spectacular city lights at night. They have two bedrooms and two bathrooms and they are very spacious (much larger than a Hotel Room). All apartments have individual owners and are decorated to the owners tastes, if there is a style you prefer please let them know when booking. All apartments are fully self contained with most of the luxuries of home including a full kitchen and laundry, linen is supplied, just bring food and beverages and relax and enjoy.